action game ChronoBlade game launch Gaming korea Netmarble nWay Role Playing Game rpg ChronoBlade is a brand new action RPG coming out of Korea packed with AWESOMENESS! 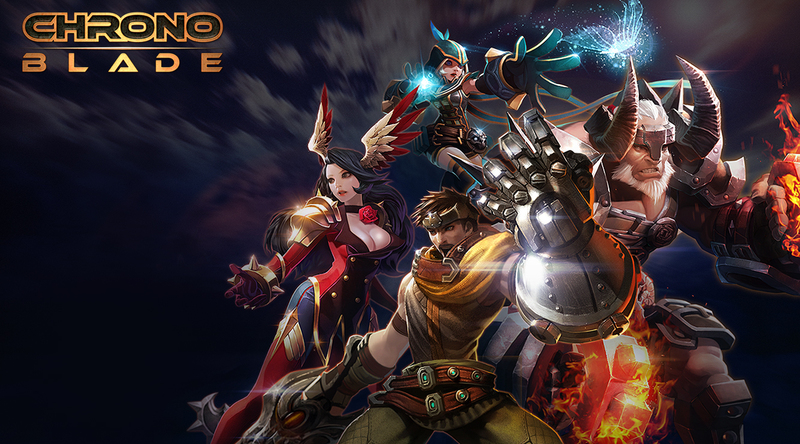 ChronoBlade is a brand new action RPG coming out of Korea packed with AWESOMENESS! In ChronoBlade, players engage in battle as a member of “The Pact,” which is a collection of heroes from various worlds. The heroes have chosen to band together and fight against Chronarchs, the evil force that plots to destabilise the world of the Multiverse. Players are immediately entered into an interdimensional war, gain power and skill, forge weapons of ultimate power, and aim to defeat the Chronarchs in their homeland. SEOUL, Korea (August 11, 2016) – Netmarble Games Corp., the fastest-growing mobile game company in Asia, today announced the pre-registration for the upcoming action RPG ChronoBlade. The action-packed combat game features an exciting arcade-style, side-scrolling “Beat-‘Em Up” experience based on a mix of fantasy and sci-fi themed worlds. The game features an easy navigation control system under a fixed camera angle, making it ideal to focus on the non-stop action battle during each combat. The short session length also contributes to the excitement, as players manoeuvre through the various hitting and blocking actions and show off their combo skills in PvP and Co-op modes. ChronoBlade, which was developed by star game developers that took part in titles including GTA, Lemmings, and Diablo, features 4 epic heroes and 5 worlds to play in. · Hybrid Gameplay Style: Players will enjoy the side-scrolling action RPG that is multi-player focused, offering PvP and Co-op play options. · Skill-based, PvP Combat: Players will be armed with tonnes of awesome combos to win in a wide variety of challenges against enemies and bosses. · Unique Storyline and Visuals: ChronoBlade players will enjoy a mix of both fantasy and sci-fi themes offering detailed visuals in a highly expandable gameworld. · Five Worlds Worth of Battles: Fans are challenged to beat the Chronarchs in five unique worlds: Empyra, a steampunk word, ChronoPrime, homeland of the Chronarchs, Ragnarok, a special world based on Viking mythology, The Crossroads, a post-Apocalyptic desert wasteland, and R’Abbalak, a terrifying world filled with mythos-inspired monsters. · The Heroes of ChronoBlade: Four heroes make up the Pact that is fighting to protect the multiverse from the Chronarch Imperium. · Aurok may be among the greatest warriors on his world, but his supernatural power has made him the focus of suspicion and fear among his people. · Lophi, who knows the mysteries of the Multiverse better than anyone, also joins Aurok in the Pact. · Lucas hails from the clockwork world of Empyria and brings his skills as a sword fighter and brilliant Mechanimist to help defend the world. · Thera was once a renowned commander on her world, Minova, but has now dedicated her life to seeking revenge for her people, who were devastated by the Chronarchs. 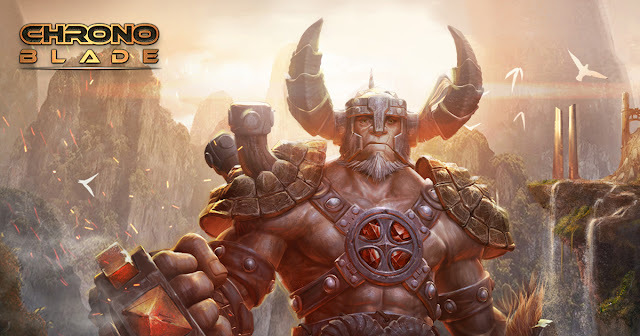 Developed by nWay, a San Francisco-based game studio united by top developers, ChronoBlade is anticipated to launch on both iOS and Android platforms. To pre-register and learn more about the game, visit ChronoBlade’s official website(www.chronoblade.com). Netmarble Games Corp. strives to entertain audiences of all ages, and around the world, by providing great mobile gaming experiences. Established in Korea in 2000, Netmarble is the fastest-growing mobile game company in Asia and consistently ranks as a top mobile developer and publisher worldwide. With more than 3,000 employees, Netmarble has been producing and servicing some of the most successful mobile games, including MARVEL Future Fight, Seven Knights, EvilBane (RAVEN in Korea and Japan), and Everybody's Marble. The largest shareholder to SGN, a leading casual game developer, Netmarble has a strategic partnership with CJ E&M Corporation, Asia’s largest entertainment company, Tencent Holdings, Asia’s largest internet company, and NCsoft, a prominent MMO company. More information can be found at www.netmarble.com.